This gorgeous cowl uses only 1 skein of yarn, making it an economical project. 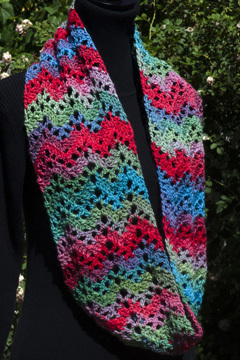 It is made with a simple ripple pattern, which is quick to memorize and easy to crochet. The beautiful colors of the yarn make it perfect to wear with any outfit! 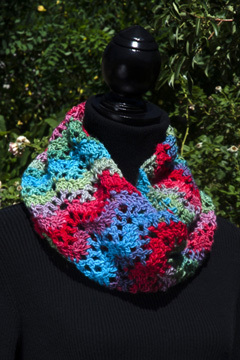 Made with an easy care acrylic yarn, this may become your favorite cowl for years to come!